President Nana Akufo-Addo has hit back at critics who say the creation of new districts and municipalities is unnecessary. The President said the creation of new districts will bring development to the doorstep of many and deepen Ghana’s democratic processes. The government has received some criticism over the creation of 38 new districts and municipalities across the country. But speaking before some Chiefs from the Upper West Region at a meeting on Monday, President Akufo-Addo affirmed that decentralization was key to development. “We want the decentralization exercise to succeed, to really bring the government closer to the doorstep of people and that is the way we will get better governance in our country. We believe in it strongly and that is the reason for the enhancement of the district assembly and districts across the country,” he said. The 38 newly created districts officially commenced work last Thursday. This was after the passing of a Legislative Instrument allowed for their creation as well as the carving out of some municipalities from other assemblies, and the elevation of some existing districts to municipality status. This was followed by the Electoral Commission undertaking a field study into the viability of the creation of more Metropolitan, Municipal and District Assemblies. The field study was to consider the population dynamics in the respective regions, the geographical or physical features of the areas, their economic viability, as well as ethnic and community interests. It also considered social infrastructure and the centrality and accessibility of the capital. 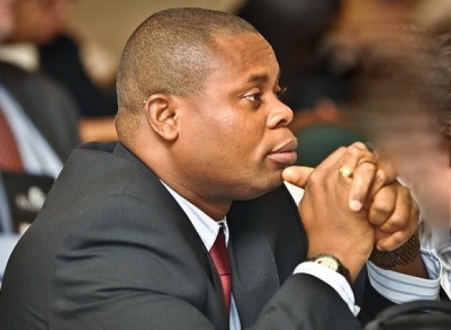 President of IMANI Africa, Franklin Cudjoe, is one of the critiques of this attempt at decentralization,and has said the 38 newly created local assemblies were needless. Mr. Cudjoe argued that some of the existing assemblies are already struggling and that government should have put measures in place to boost their capacities instead of bringing new ones on-board. IMANI Africa President, Franklin Cudjoe.